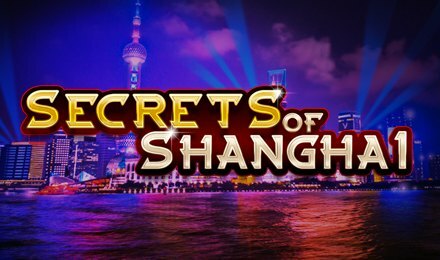 Created and built by Section 8, Secrets of Shanghai slots takes you to the biggest city in China, where you will find a world full of wonder, beauty and riches. Discover a mass of features that you can trigger in the game to help level up your winning potentials. These could be scatters, wilds, free spins and more. The reels of this online slot game come with very good graphics that will pull you right into the game with symbols like J, Q, K, A, Buildings, Temples, Houses and Shanghainese Entertainers. Secrets of Shanghai slots offers you various options which you can use to make your gameplay more exciting. The autoplay button also allows you to set a number of spins to play hands free! So, if you’ve got your hands tied, you can continue playing! . Bet Levels:No bet levels present. Amount of Paylines Selection: Choose from 1 to 25 paylines to play on. Coin Values:Toggle the up/down buttons to adjust your bet levels. . The lantern is the scatter symbol of the game, which awards the bonus rounds when landed anywhere on the reels. The wild of the game is also the highest paying symbol. This takes form of the Secrets of Shanghai Logo, which replaces for all symbols bar the scatter symbol. This slot game can also award up to 750x your bet . When three, four or five scattered lamp symbols land on the reels, they award 8 free spins. The feature can be retriggered by landing more scattered symbols during the feature. Launch Secrets of Shanghai slots at Wicked Jackpots Casino today and enjoy every bit of it!